Originally published in 1983 the first edition rapidly established itself as a core student text. Now fully revised and up-dated it remains the only book to address the rationale, process, techniques and methodologies specific to the study of dance history. For the main body of the text which covers historical studies of dance in its traditional and performance contexts, the editors have brought together a team of internationally known dance historians. Roger Copeland and Deborah Jowitt each take a controversial look at the modern American dance. Kenneth Archer and Millicent Hodson explain the processes they use when reconstructing 'lost' ballets, and Theresa Buckland and Georgina Gore write on traditional dance in England and West Africa respectively. With other contributions on social dance, ballet, early European modern dance and feminist perspectives on dance history this book offers a multitude of starting points for studying dance history as well as presenting examples of dance writing at its very best. 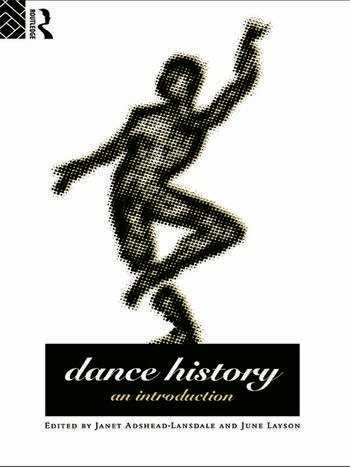 Dance History will be an essential purchase for all students of dance.